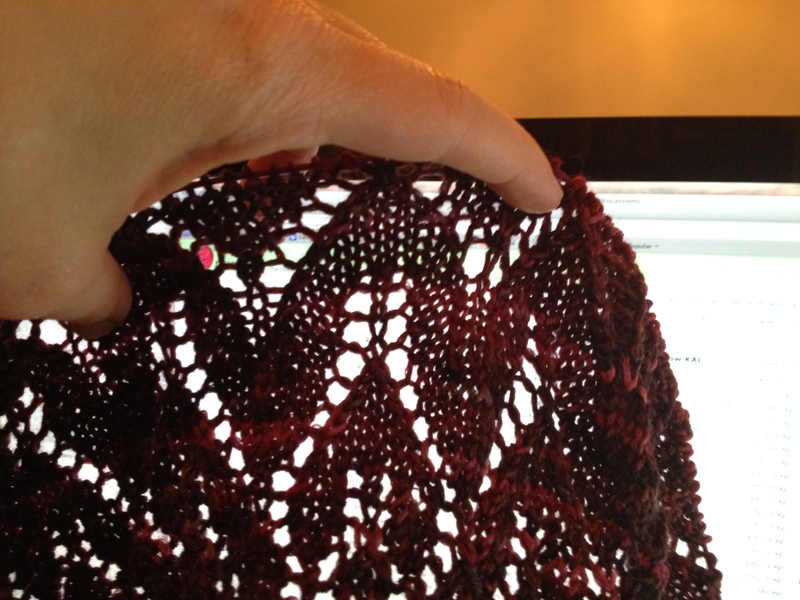 Not unexpectedly for a shawl requiring 680 yards of yarn, the rows are getting longer…and longer…and longer. At the end of clue 4 (whichever version you choose), you will have 329 stitches. Since my Knitpicks interchangeable set has a 60″ cable, I was able to switch to that for my “anti-shawl.” My first-choices shawl is on my Chiaogoo interchangeables, and the longest cord I have is 30″. It’s getting pretty bunched up. Both the options this week were lace panels, but one was more complex than the other. Both have “arrow” qualities to them. Time to embark on the denouement! 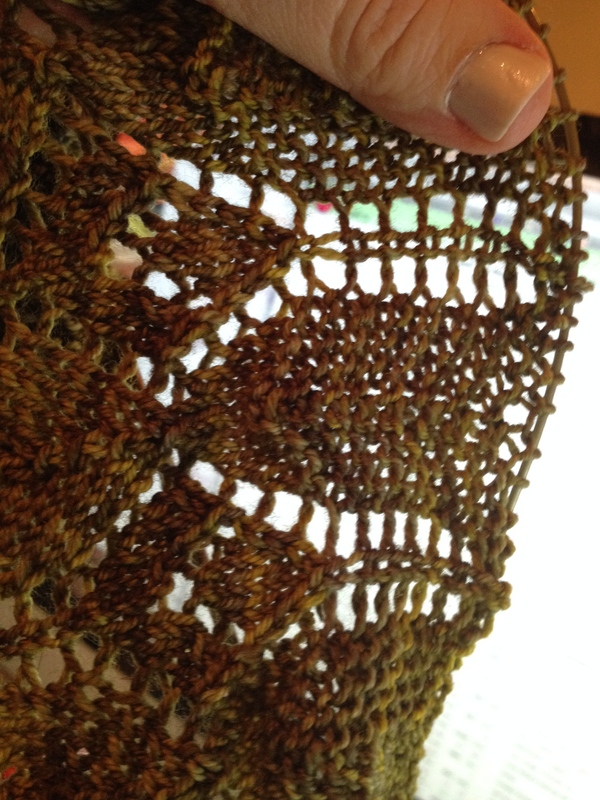 This entry was posted in Uncategorized and tagged Follow Your Arrow KAL, KAL, knitting, lace, MKAL, shawl, Ysolda Teague. Bookmark the permalink.